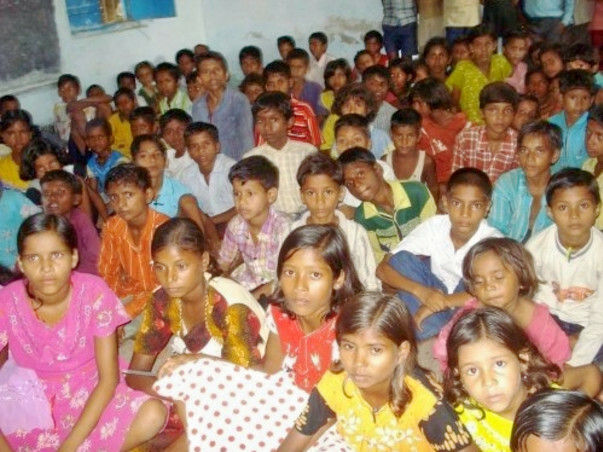 We Parivar Vikas - Non-Governmental Organization, working with people in Bihar India for a nation free from poverty, illiteracy, and injustice. We work in state Bihar, has India’s lowest female literacy rate (~51%, 42% in my district of Jamui) and Asia's one of the lowest female literacy rate. Lowest female workforce participation rate (FWPR), with only 89 per 1,000 women employed in the entire state of Bihar. This number is even lower in the Jamui district. Communities for which we are working mostly inhabited by schedule caste/tribe and majority falls under poverty line. These community's families are either landless or having own small chunks of less or infertile land. Main source of livelihood for these community people are working as agricultural labor. Their children get encouraged to drop out of school and working similarly as brick works labor / agriculture labor / as helping hand in hotel / and quite often victims of child trafficking. Youth from this communities are migrated at least 1000 miles far to work as constructions labor or industrial labor in metro cities for livelihood. The district of Jamui is also heavily affected by Naxal violence, resulting in a dangerous community for women & children. The Human Rights of these women and girls need to be protected. The best way we can empower the girls of our community is through education, enabling them to develop new skills and the ability to take control of their own lives. We run a programme URGE (Uplifting Rural Girl's Education) with objective of bringing poorest community girl children into mainstream education and work towards securing their secondary schooling. HELP US MAKING AN EMPOWERED, EDUCATED AND CONFIDENT COMMUNITY FOR GIRLS.